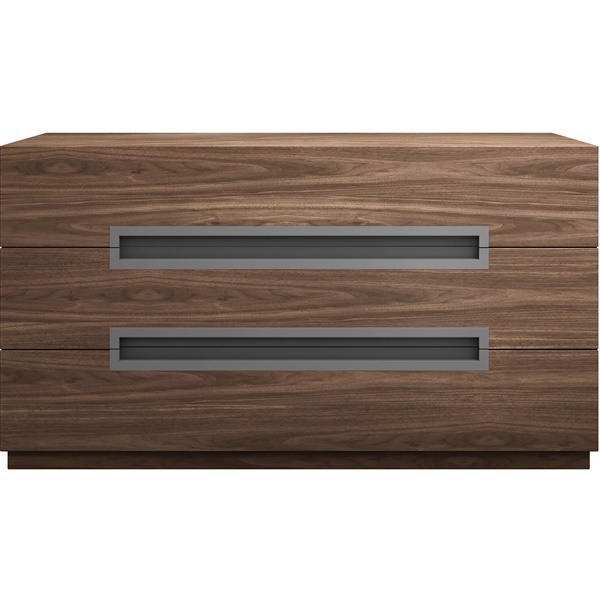 Sleek, streamlined, and rich with modern detail, the three-drawer Monica Dresser from Modloft promotes a calm, clutter-free environment while awakening your bedroom with fresh, contemporary style. Crisp, clean lines and a wood-finished exterior create an updated organic look while quality craftsmanship ensures that the modern dresser's function and style stand the test of time. Three drawers offer plenty of storage space for clothes and other belongings and operate on soft-closing glides for seamless movement. 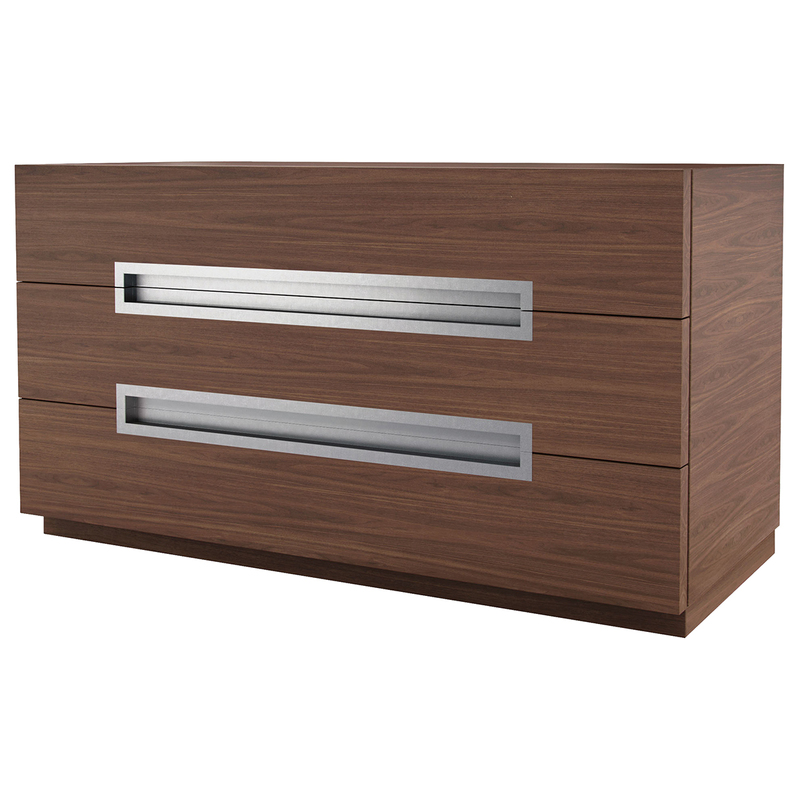 Stainless steel groove drawer handles go beyond everyday function by giving the Monica Dresser its urban modern edge. Get the style you crave and the storage capabilities you need without straying from your bedroom's existing design scheme by choosing from a variety of finish options.